Contestants fly the course as Paul Green (with clipboard) looks on. 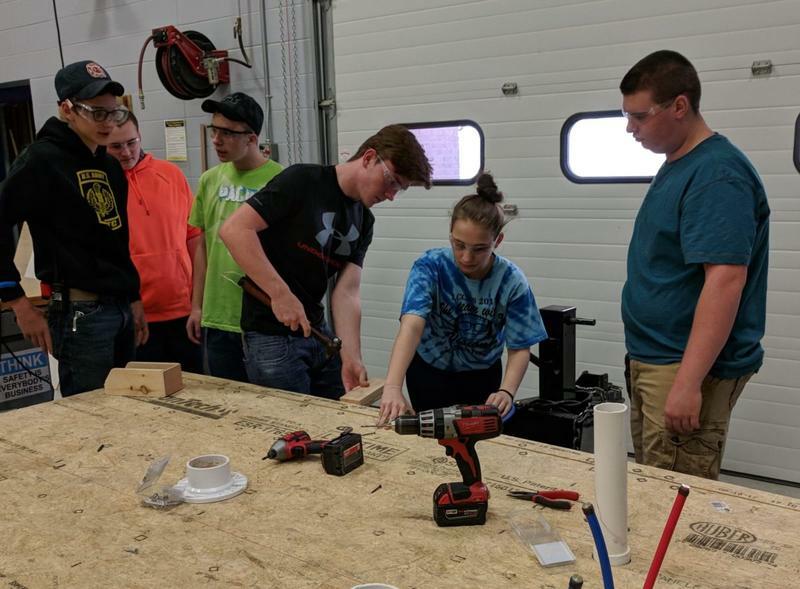 Seth Hatfield was one of dozens thumbing the joysticks on a remote control, and making last minute adjustments to four colorful propellers on top of a machine that had taken a full school year of teamwork to build. It was time for the drone race. 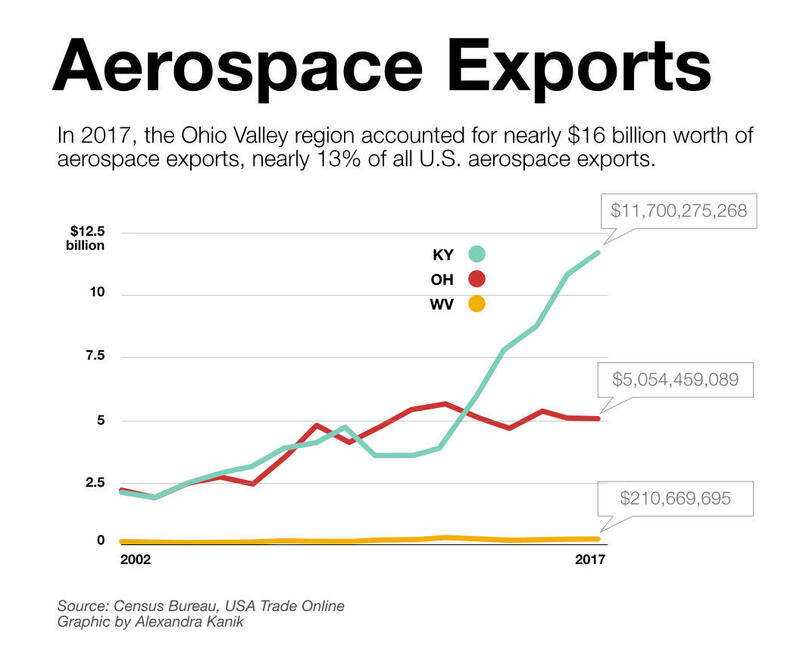 The Ohio Valley has a long history as a leader in aerospace engineering and the economically struggling communities of eastern Kentucky are hoping drones will be a part of the region’s future. 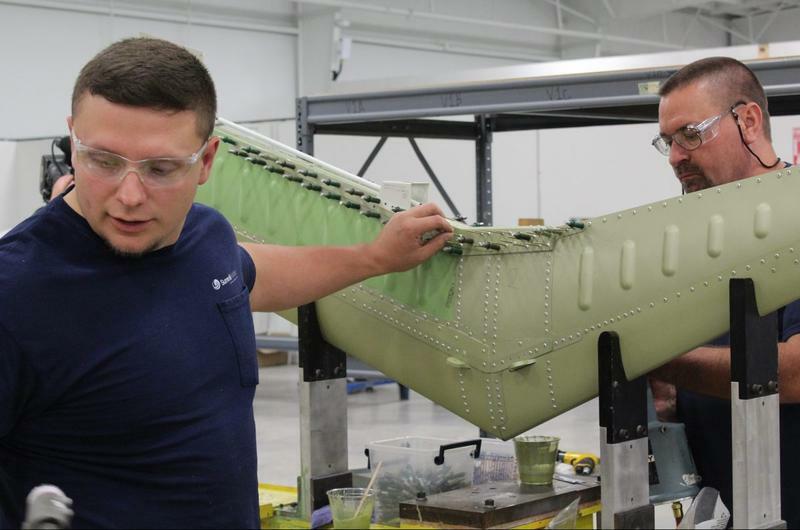 Factories in eastern Kentucky already produce parts for military and civilian aircraft, and local universities offer strong training programs. Nearby Morehead State University is known for tiny satellites that students design. Paul Green is the Appalachian Technology Initiative for the Kentucky Valley Educational Cooperative, a cooperative of eastern Kentucky school districts. When he went to visit Morehead State with other educators, professors there told him that while they have plenty of students who are academically strong, few arrive at the university prepared to actually do the work of building satellites. 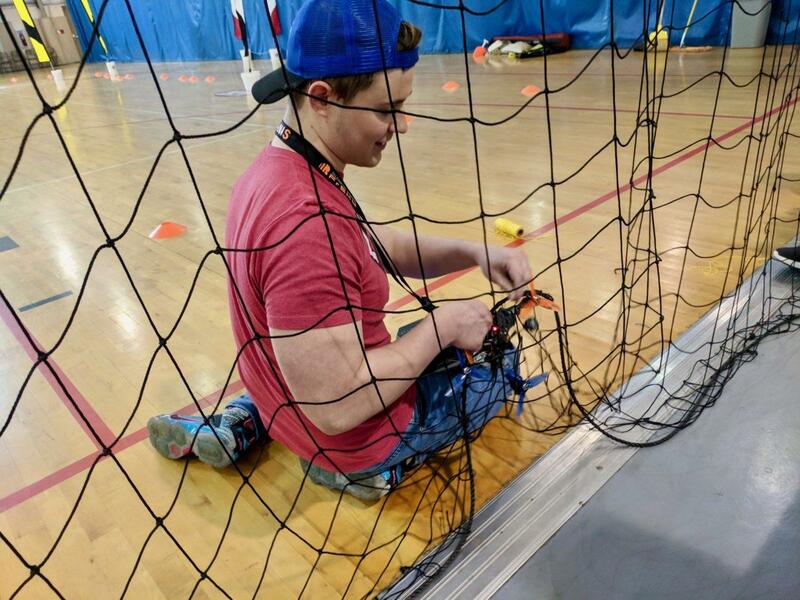 Inspired by a drone racing TV show, Green and his colleagues decided to use their grant funding to purchase drone kits that student teams would have to assemble and then learn how to race around a course. Students weren’t provided much in the way of instructions. There’s a growing possibility that the skill set of building drones could prepare students not just for college, but also for finding a good job close to home, and helping to grow a new industry. USA Drone Port is a new initiative that has launched as a collaboration between the Hazard Community and Technical College and a wide variety of local partners. The group kicked into gear after the Trump Administration announced it was looking to fund drone testing grounds, and issued a call for proposals. USA Drone Port didn’t end up winning that grant but it has been making strides all the same. It received a donation of 50 acres of land at an old strip mine on the Knott-Perry county line, and now has funding to build its first structure on the site. Several local drone businesses have already been launched, and the drone port’s training events have taught drone basics to people across Kentucky. Visitors from across the country have come to learn how drones can be used as an aid in police work and search and rescue efforts, among other areas. Bart Massey, director of USA Drone Port, said that drone companies working in urban areas often have to travel for hours to reach unrestricted airspace where they can test their machines, and then hours back to their offices to make changes. Airspace in this corner of rural eastern Kentucky has fewer limitations, so Massey can pitch the drone port as a place where businesses can test, build, and tweak all in one place.He said he’s hearing from companies that are interested in relocating to eastern Kentucky to take advantage of the drone port’s offerings. Similar initiatives are budding in other corners of central Appalachia. Just across the ridge line in Appalachian Virginia, Mountain Empire Community College has received funding from the Appalachian Regional Commission to “train students, including former coal industry workers, to operate drones and drone sensors,” which they expect can be used for mapping, as wells for surveying and building and industrial sites. A third initiative, led by Maysville Community College, also received funding from the Appalachian Regional Commission to train workers for the drone industry in 20 counties across northeastern Kentucky and southern West Virginia. Safety netting keeps onlookers safe from the fast-flying drones. 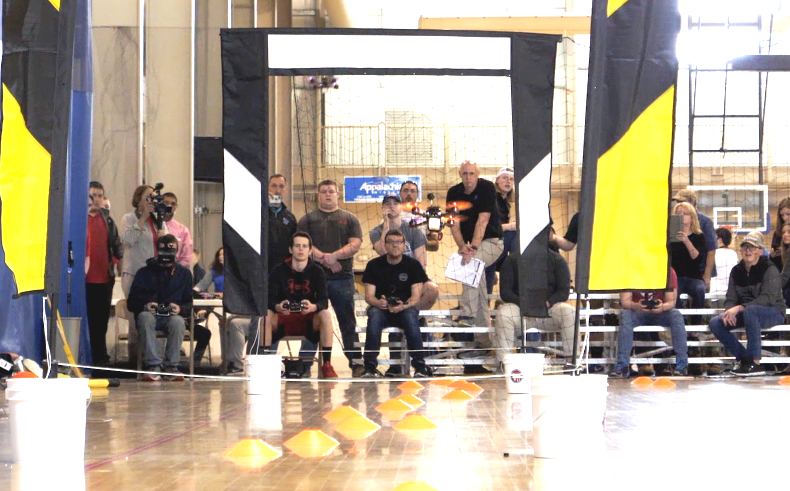 The drone race in 2018 was the second that the cooperative has held, so some teams were coming in with experience. Franklin Combs of Knott County Central High School came into the day feeling hopeful. He’d had a strong finish the year before. “Two people made it around the course last year, and he made it around smoother so he got first place and I got second,” he recalled. The race itself was gripping and dramatic. There were a lot of crashes, and in many cases, the drones didn’t recover. 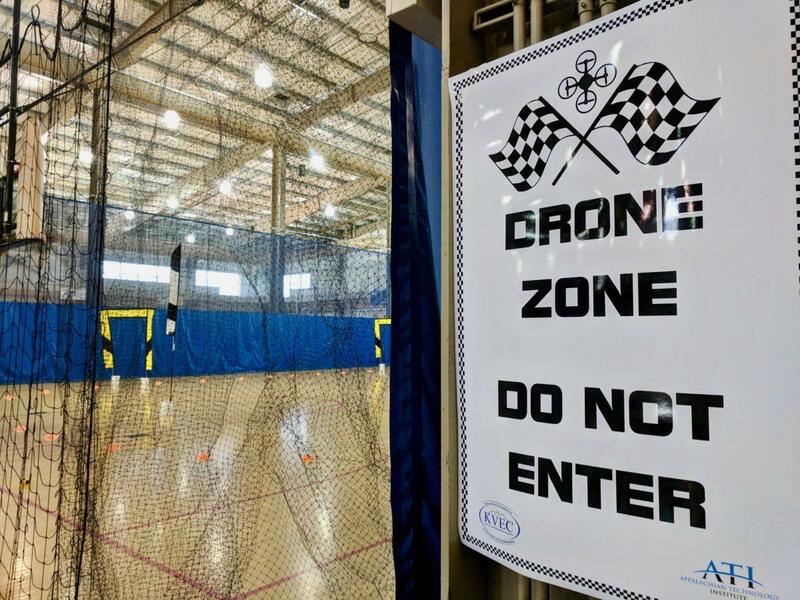 Combs was relatively lucky on that front— his drone crashed into the netting surrounding the course, so once he had untangled the propeller he was able to keep flying. Franklin Combs untangles his drone after a crash. Some collisions were more dramatic and damaging. The team from South Floyd Elementary, which was the only all-girls team present, and one of the youngest, hit a major snag when their drone took a big hit during pre-race testing. 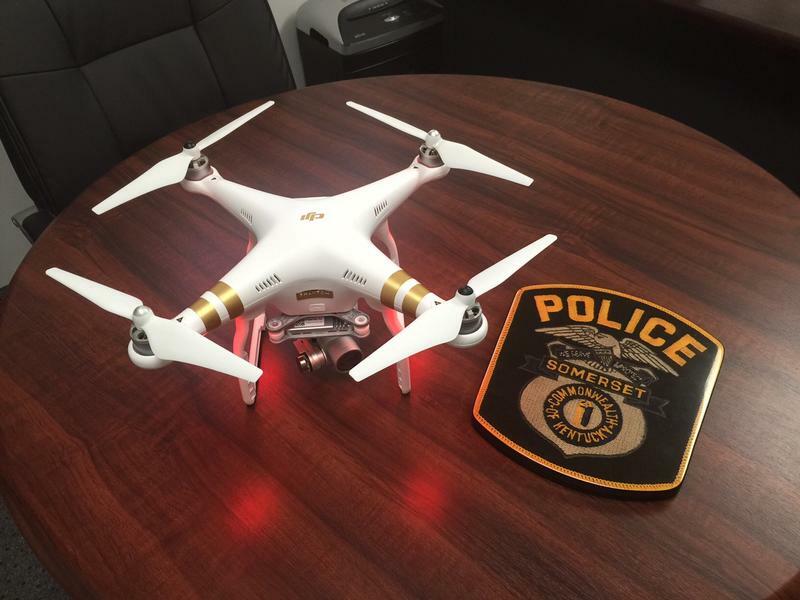 “It shot up to the roof, hit the roof, came back down and the battery bounced out of it, and it broke the strap,” Haley Slone, who was piloting the drone, explained. 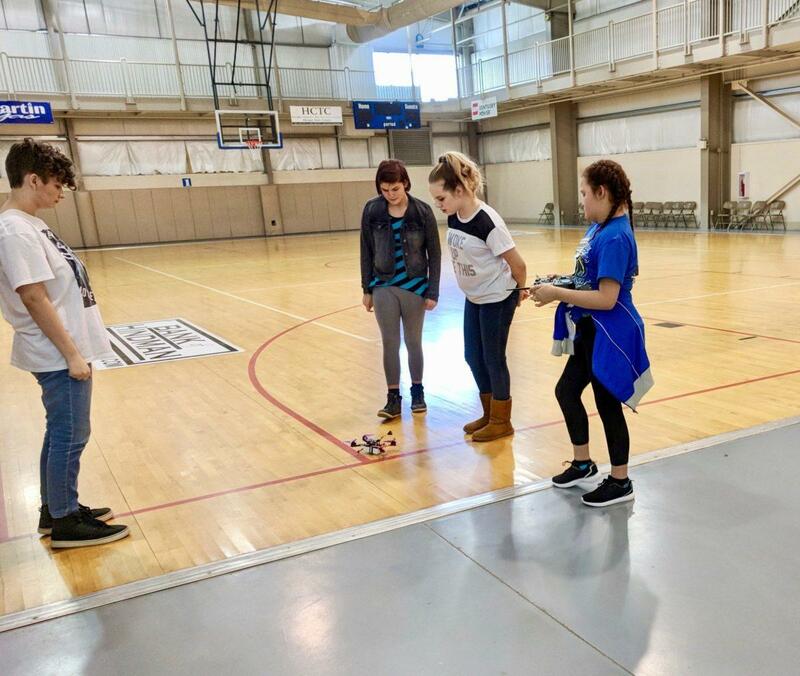 The team of 7th and 8th graders hurried to fix the drone so they would still be able to compete— scrambling to adjust the tightness on the propellers and re-solder connections for the engine. But they weren’t able to get the drone flying in time. Still, the South Floyd Elementary team said they took a lot from the experience and were excited to try again next year, and hopefully have more success. Haley Slone (in blue) prepares for a test flight as teammates look on. Kansas Stumbo enjoyed the experience so much that she wrote in a school assignment that she wants to have a career building drone parts. She said that soldering was really different from anything else she’d gotten to do in school, and she’d really loved it. “It’s very simple to do, just melting metal to wires,” Stumbo explained. At the end the day, 11th grader Seth Hatfield of Belfry High School emerged as the winner, having flown two of the cleanest and quickest laps through the course. 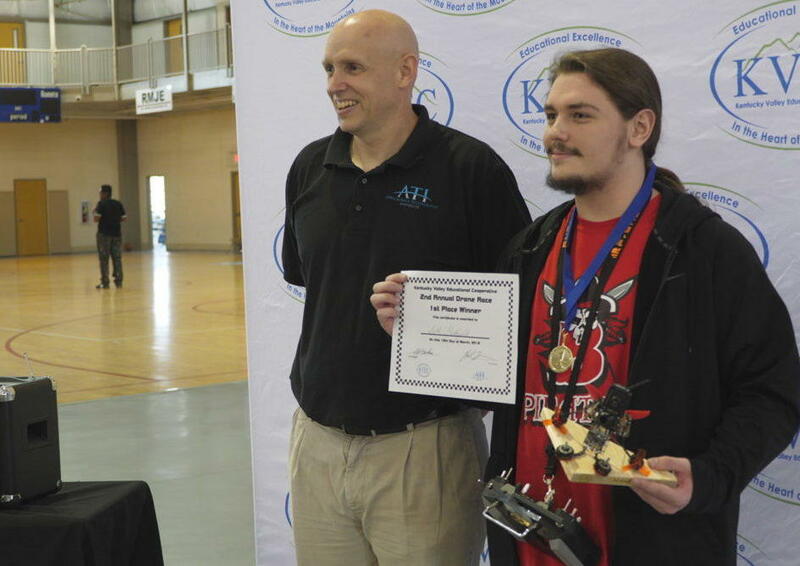 Hatfield had also won in 2017, and said he’s interested in studying aviation at Eastern Kentucky University, and would love to come back and work with drones if the industry can get going, which he’s optimistic about. Seth Hatfield (right) accepts the top award from Paul Green. Hatfield said he’d be excited to be a part of that future. From the outside Summit Aviation, in the small town of Somerset, Kentucky, looks like any other nondescript, white warehouse. 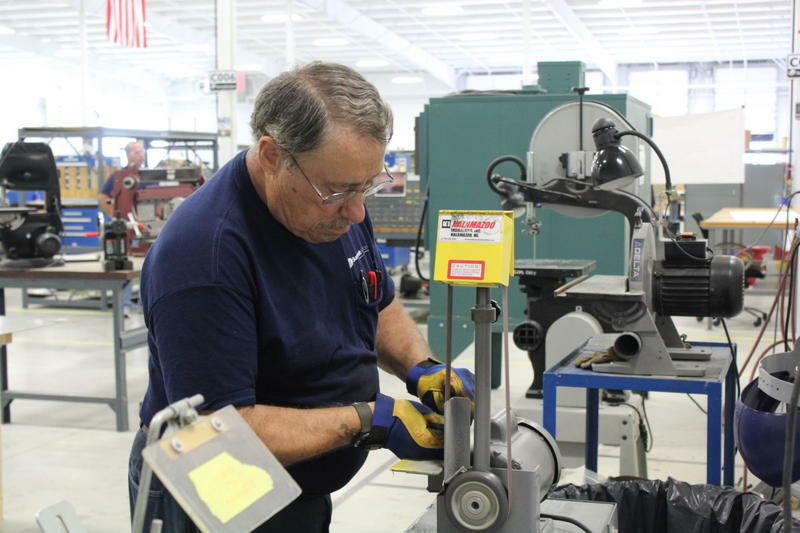 But inside workers craft parts for drones, weapons casings, wing stabilizers and other high-flying products. 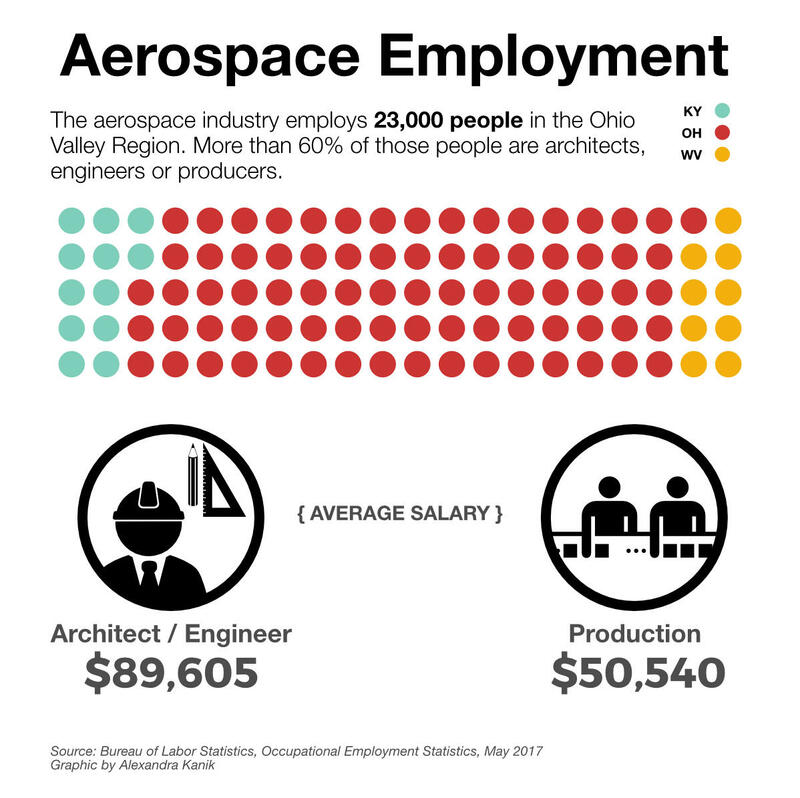 Summit is one of many small manufacturers making up the growing aerospace industry in the Ohio Valley. Highly specialized companies are landing in Kentucky and Ohio for the proximity to important raw materials and the promise of some political sway. Hear the first story in a new series from the Ohio Valley ReSource called Changing Course. The Ohio Valley was once synonymous with steel. Even after the industry’s sharp decline the region is still home to many industries that produce or use steel and aluminum. Those industries are closely watching what the Trump administration will do on steel and aluminum imports. The Department of Commerce has suggested a massive 24 percent global tariff on those imports. As a candidate, Donald Trump promised to apply tariffs. Now, it’s unclear if President Trump will follow through. Hear Becca's story about how people in regional industries that could win or lose if steel and aluminum tariffs take effect. 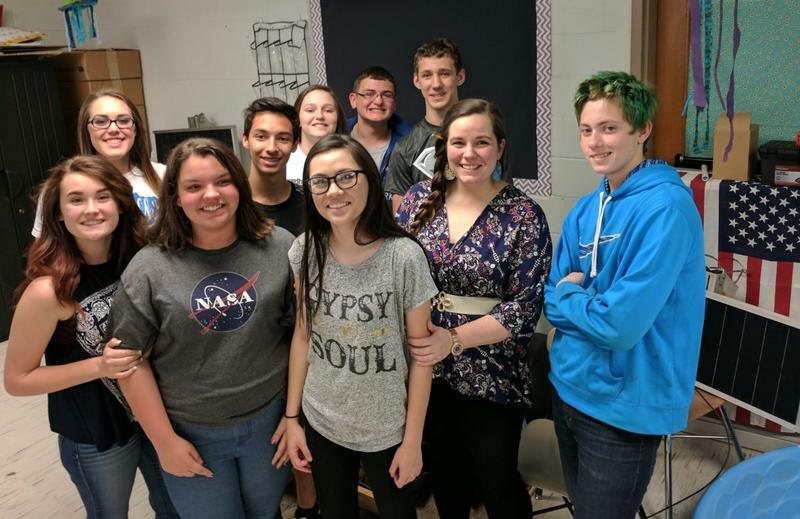 A group of students from South Floyd Middle School had seen the nearby elementary school suffer damage from floods year after year. 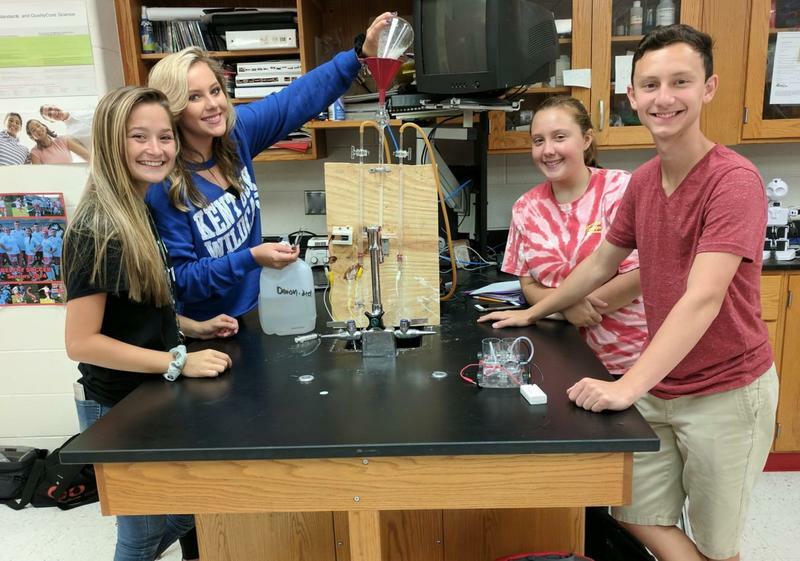 When they joined the school’s newly formed engineering team, they came up with a low-cost solution. “We’ve designed portable flood levees,” team member Preston Crase explained. The plastic bins are filled with a mixture of sand and water and connected with waterproof industrial velcro. Nationally, drones are increasing in popularity and some Kentucky legislators want stricter regulations on how the devices are used. A proposed bill, mirroring federal guidelines, would insert into Kentucky law the approved uses for drones in the commonwealth and clarify how the unmanned aircraft can conduct surveillance.